Holy cow, it really has been a hot minute since I was last able to drop an article up here on the blog. Sorry folks, been busy! But hey, looking to get back on the grind, at least to some extent - still don't have the free time that I used to, but I miss sharing my menswear obsessions with the world. That said, my favorite choice is actually...none of them. Ok, kind of a trick answer there. My favorite really is still my own DIY solution. Last year, I happened to have a white oxford from Trashness that wasn't quite up to snuff. Rather than relegate it the back of my closet, I decided to do some risk-free experimentation and chopped it up - a pair of scissors and 30 seconds of work later, and I had my own hand-made(ish) band-collar shirt. After rocking it all summer, and then busting it out again as temps started to clear up this spring, I decided it was time to invest in a better-fitting and better-quality version, now that I knew I really liked the style. Still being a cheap-o, though, I didn't go out and buy one...instead, I just picked a better oxford to chop up into my own version. 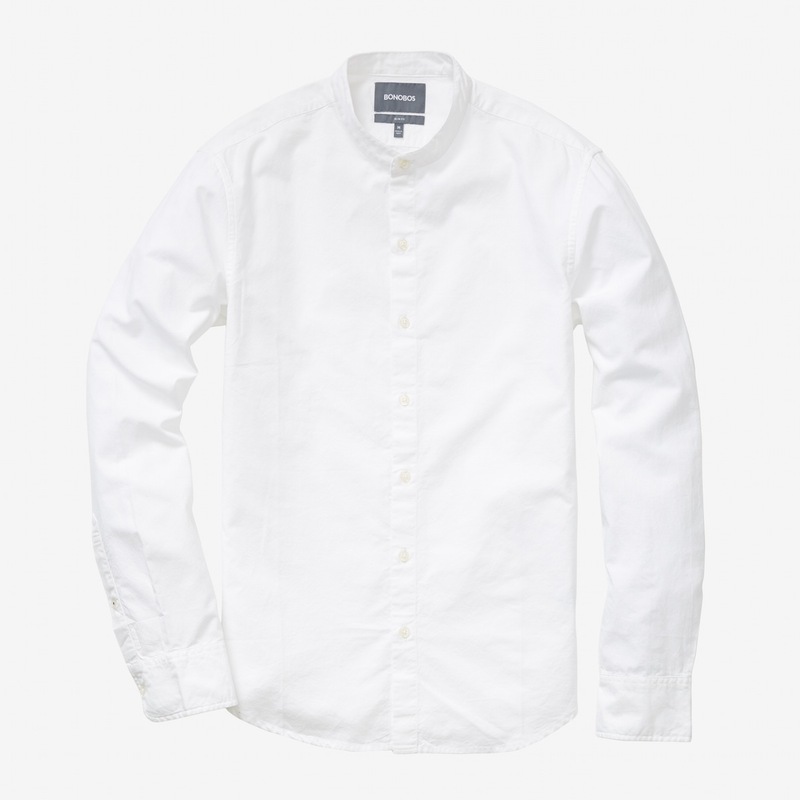 Thus, my Uniqlo OCBD (at a mere $30), becomes my new favorite band-collar shirt. Even better? 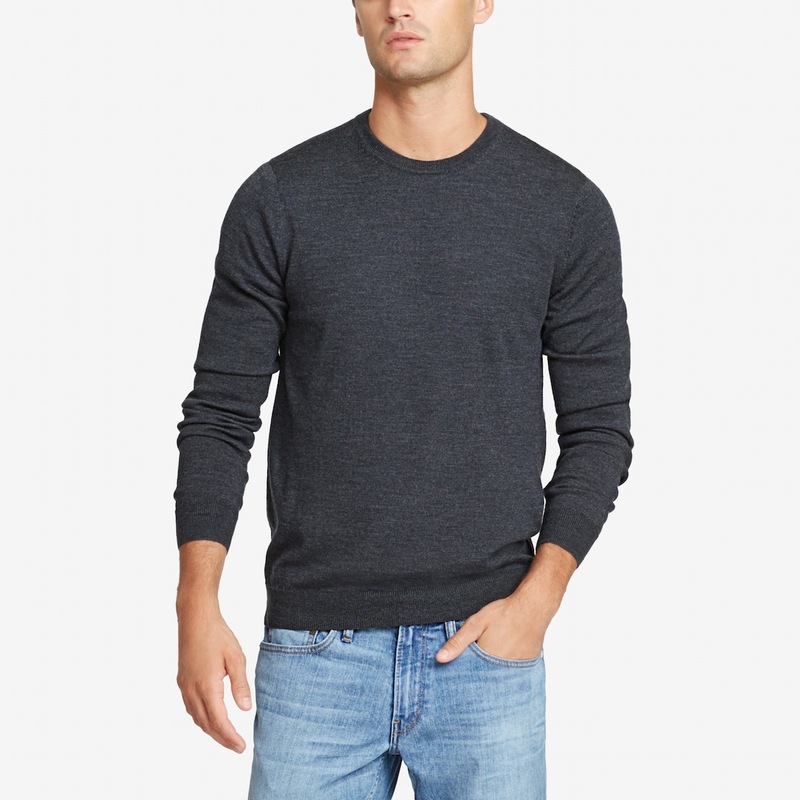 Uniqlo just knocked the price on their OCDB's down by half...now going for just $15. That's cheaper than Target...and while Target OCBD's ain't too shabby themselves, the deal here is damn hard to beat. Go grab a few pairs, and take one or two to the surgical room, see how you like the results. At this rate, I'm bound to have one in every color by the time the sale ends. I just finished this project at like, midnight last night, but I'll throw up some pictures when I get a chance to take em! And stay tuned, hopefully this marks a return to the blogosphere, and more content to come in the future. 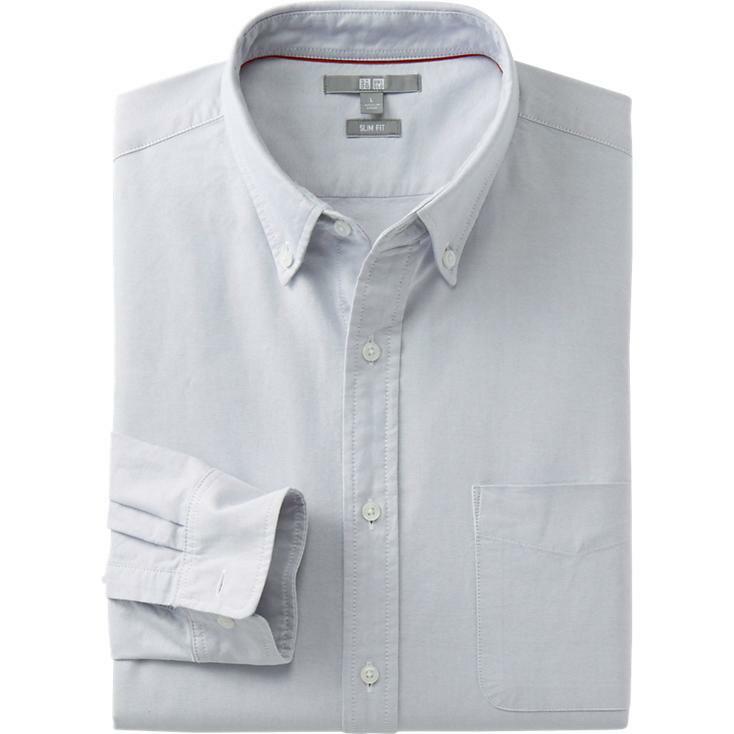 "At MTailor, we are bringing professional quality custom shirts into the modern era. We make it easy, convenient and fast while maintaining an amazing fit and quality shirts. To do that, we measure you with your phone's camera using the latest in machine learning algorithms. We're 20% more accurate than a professional tailor. There's no tape measure involved (no need for a second person or second guessing yourself on all the measurements), and you're done in less than 5 minutes. While we officially launched June 28, we've been working on MTailor since September 2012. Right now, we're just 2 people: Miles and Rafi. We spent over a year developing the core technology to make the measurement process easy and accurate. We then spent months testing over a dozen suppliers and shipping lots of beta shirts to customers, and we only launched once we and our customers were satisfied. We really stand behind our shirts: if you dislike an MTailor shirt for any reason (not just fit), we'll remake it for free or issue a full refund, no questions asked." The Ordering Process: This is probably the coolest feature of MTailor - or at least the feature with the highest coolness potential. Where other made-to-measure services require you to either measure yourself or a shirt you already own, MTailor uses a cellphone app to digitally scan your body type, requiring no actual measuring at all. Pretty damn snazzy, right? And the feature is really cool - it takes a few minutes to set up, and took me a few tries until I got myself framed properly in the camera (the process involves propping your phone to fit the image of your body inside an on-screen frame), but it was painless and actually kinda fun. Now, all that said, there are a few things I wish were a little different - the largest of which being that MTailor is only available via app. As in, you can't browse the fabrics or customization options on your computer. I'd imagine there's an iPad version as well, which would be better, but as I just have an iPhone, I was limited to selecting a fabric off of my small phone screen. Not the worst thing in the world, but it would have been great to be able to check out some larger pictures. I'd also love to see a wider range of casual fabrics, although there is something to be said for simplicity as well! To that point, I actually enjoyed the more limited variety of customizations that were offered - seemed to cover all the bases without overwhelming you with a million choices. In the end, I ended up choosing a dressier fabric in a blue and brown small-scale tattersall, with a widespread collar, one button cuff, the longer 'tucked' cut, and a slim fit. Though MTailor was kind enough to provide the shirt free of charge for this review, the final price would have been just $69 (their base rate), which is really quite reasonable (and affordable). The Fabric and Construction: Starting off on a very good note, the fabric and construction are pretty entirely beyond reproach. As a matter of fact, I'd consider this one of the best fabrics I've gotten for a made-to-measure shirt. Even my Thomas Mason fabrics have come just a bit stiff and...shiny - but this shirt feels far softer and just more natural, as I'd expect a 'luxury fabric' to feel. 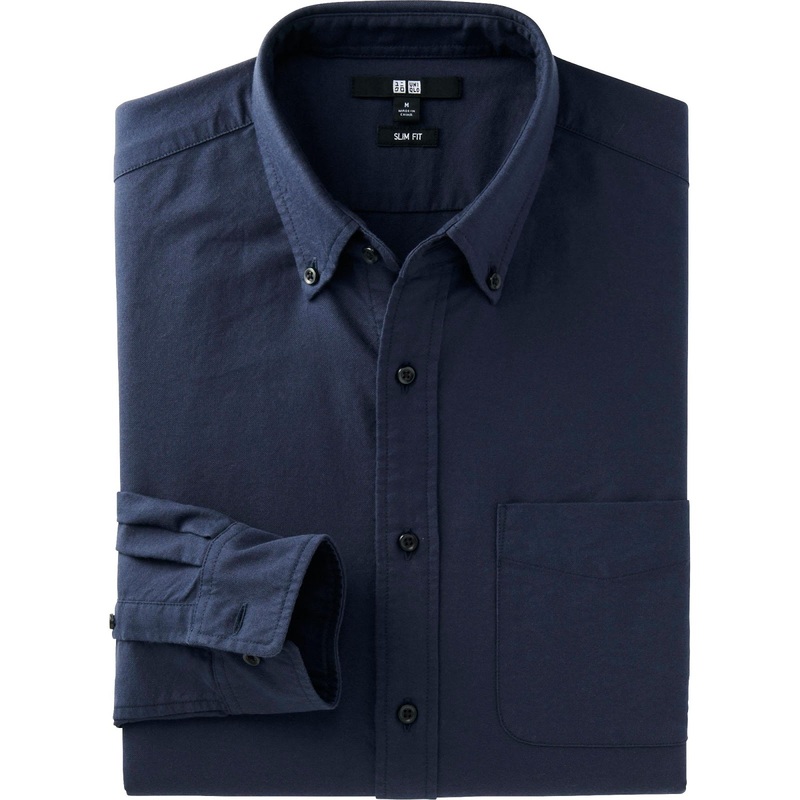 The weight is perfect for a relatively year-round shirt. It's not flimsy by any means, but not a heavy robust flannel either. As for construction, the bases are all hit - smooth stitching, clean button-holes, sturdy and well-attached buttons, removable collar stays and stitched (as opposed to fused) collar and cuffs. The Fit: To be perfectly honest, when it came to fit, I was a bit disappointed when I first received the shirt. The MTailor app lauds itself as 20% more accurate than a professional tailor, and with promises like that, I expected a darn-close-to-perfect shirt on the first try. Things weren't horrible, by any means, but just not quite up to snuff. Thankfully, MTailor offers a complementary remake of your first shirt in order to nail your pattern. This is pretty common with MTM shirtmakers, and I've actually come to kind of expect to have to tweak things throughout the first order - and for any other company, I wouldn't have been as upset. It's just that those promises made by the high-tech scanning system were so...promising! Ah well, not the end of the world, but just know their model has some kinks to be worked out. Anyway, back to the specifics. Mainly, the cut was just a bit big throughout, with slightly long sleeves, and too low of armholes. Just a bit too big throughout, and some funky draping. The sleeves in particular were long and baggy. Low armholes definitely contributed to the draping and general fit being off. Now that we were past using the digital scanning, I decided to compare the shirt with another custom shirt of my own in order to give Miles the most precise directions for adjustments. "We have edited how we calculate biceps and this is the new measurement we would make you. The shirt we sent you must have been way too big in the biceps! Shrinking this will tighten the armholes and the forearms." The Fit (Part 2): And here's the good news, fit-wise! After a remake, the shirt fits almost perfectly. Nice and trim through the body and waist, sleeves falling at just the right length, and a comfortably snug collar and cuffs. Boom. Much trimmer, an a far better drape. Sleeves hit right at the wrist without excess pooling fabric. My only complaint is that the armholes are still just the slightest bit restricting - minor enough that I wouldn't complain for an OTR shirt, but a bit too noticeable for a custom shirt. Really, you can't even notice it with my hands at my sides - just when I raise my arms, the fabric pulls from the armpit across the chest. Still some slight tightness across the chest. The Customer Service: Gotta say, I was pretty blown away by just how attentive Miles was throughout the ordering process. I'm usually all over shipping tracking myself, but he saw that the shirt was scheduled to be delivered before I did, and shot me an e-mail to make sure delivery went smoothly. When my post office mixed things up, he stayed right on top of everything until the package was in my hands. Even more importantly, he seemed eager to hear my impressions and feedback, and legitimately interested in leaving me with a great shirt, rather than just making another buck. Two thumbs, way up. Beyond that, processing and shipping came in at just under 3 weeks (not exceptionally short, but also not exceptionally long), and all communication was quickly and promptly responded to by either a customer service agent, or more often Miles himself. In Conclusion: All around, I'd say MTailor is definitely worth a try. The ordering process is admittedly cool, and if they can continue to work out kinks in their digital-fitting model, it could end up being one of the more convenient options available. Past ordering, the customer service and product quality leave these guys right up with some of the best shirts that I've had, and all with a price point that isn't too painful. This was a sponsored review, and the products reviewed were provided to me free of charge. The article, however, remains objective and unbiased and is published without prior editing or review by MTailor. While I love to be given products to review, don't worry, I will never endorse a product I wouldn't wear myself. 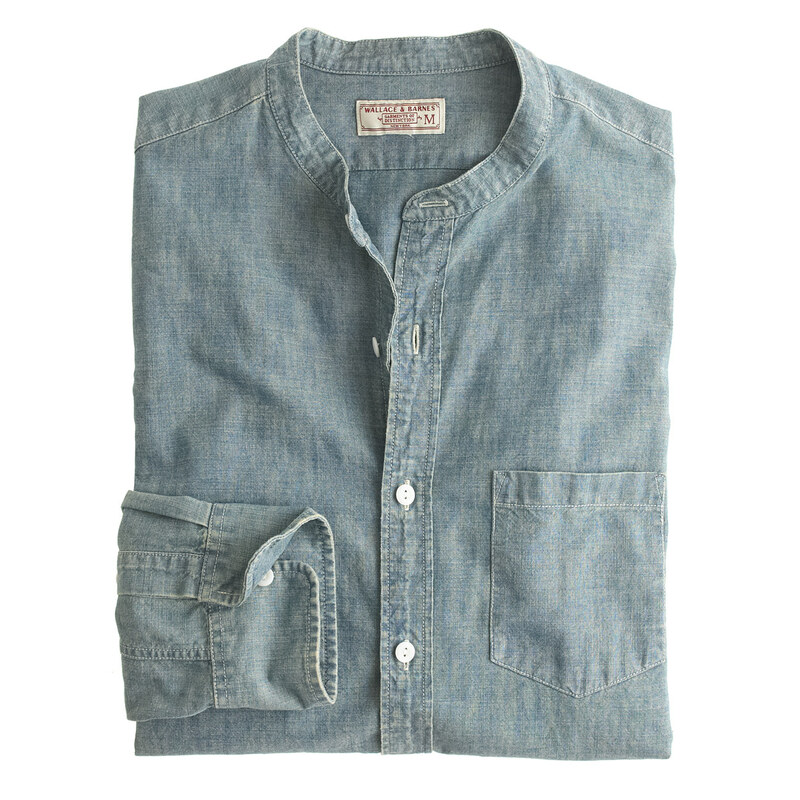 Updates - NOLA with Bonobos, 'Gift Guide', The Future, Effortless Gent, and More! Wow, the past few weeks have been a crazy and exciting time at the new job with Bonobos. We've been gearing up for a big marketing shoot, and I jet off to New Orleans this week to help make it all go down. It's been an awesome experience, but has left me with very little time to tend to the blog! A few technical difficulties on top of that, and I'm a bit behind in my posting. Oops! First on the list, we've never really jumped on the bandwagon of putting together a formal gift guide for y'all - and we still aren't really. BUT - we have added a 'Gifts' board to our always-growing Pinterest account. Anyone looking for some gifting inspiration should head over and take a look, there's some really nice things in there. Also, in the spirit of crowdsourcing, feel free to leave any gift suggestions in the comments, and if we dig em as much as you do, we'll ad them to the mix! Also, always adding to our standard Pinterest boards, so click around, and maybe you'll spot something you like. In other news, we hope you liked the article that Rickey wrote a few weeks back, as it sounds like he might become a regular contributor. Hopefully we'll be able to put up another post from him before the holidays, but if not, definitely keep an eye out in the new year. On the subject of future posts, as we wrap up the year, I'd love to hear what you guys want to see coming from us. With more limited time, and therefore a more selective publishing schedule, I want to make sure we are putting out content that is helpful, entertaining, and informative for you! Sound off in the comments, or shoot me an e-mail. We do have a few things in the works, including some reviews that I'm excited about, as well as some more editorial pieces that we hope will spur some good discussions. Again, keep an eye out! 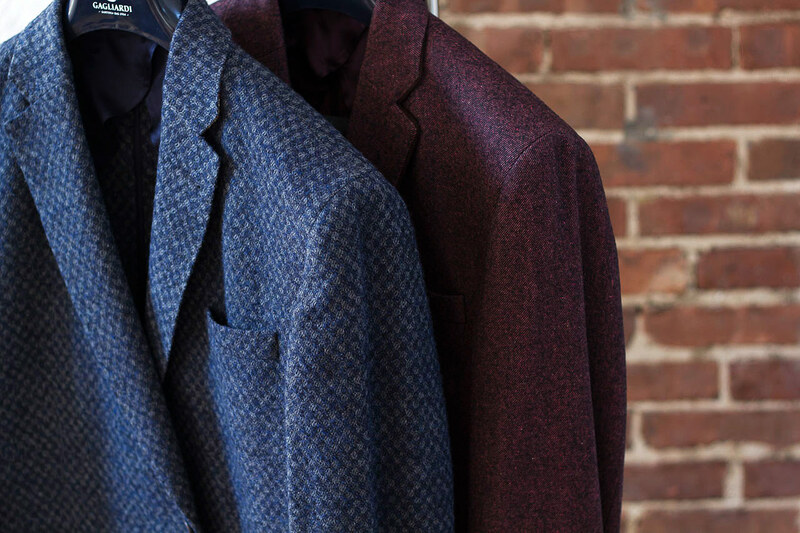 Last, just wanted to point you over to a new article on Effortless Gent - I've had the pleasure of working with Barron for just about a year now, and just helped him put together a follow-up to my previous review of Gagliardi sport coats. A few months ago, I got to check out one of their summer blazers, and they followed up with both of us this fall to style some of their more wintry products. He and I each put together a look featuring a cozy wool blazer, and I think it turned out pretty awesome. Find the article here, and give a shout to Barron and I in the comments! With that, I'm off to NOLA - I'll be doing my best to post some of the excitement on my personal Instagram, so follow along there! At least, nowhere in person. Black Friday is for crazy people, who don't give a damn about the workers who are forced to abandon their families on a holiday to stock the shelves, and really don't give a damn about the complete loss of dignity that is inherent to elbowing someone in the face just to grab that last big screen TV. Instead, be a decent human bean and wait for Cyber Monday, at which point we give you free reign to shop 'til you drop from the comfort of your keyboard. Meanwhile, enjoy some quality time with your friends, family, and loved ones. Maybe peruse some online Black Friday sales while you're at it (bonus: most companies these days aren't limiting their sales to just Black Friday itself, and instead offer week-long, or sometimes even month-long sales, just widening your shopping window). To be honest, the pressure of both managing a budget and snagging all the great deals is a bit much for myself, so instead of going all-out, I just keep my eye on a few stores, and maybe have a few pieces in mind that I'd like to pick up. This year, I'll be browsing the deals from Frank and Oak and Bonobos, keeping an eye out for some tasty sneakers from the likes of Adidas, New Balance and Nike, and hoping to find a nice pair of gloves from a department store like Nordstrom or Bloomingdales - but my priority is going to be quality time (and food) with my darling puggle and lovely girlfriend! All that said, here's a list of some great online sales to check out over the next few days. I'll be doing my best to keep this updated, so check back for new additions, and let me know in the comments if I'm missing anything good! Frank & Oak: Up to 50% off select items (through Sun) Get $25 credit when signing up with our referral link. HAPPY THANKSGIVING!! Go eat some Turkey! We're not ashamed at all to admit we're fans of alcohol - but not vodka-cranberries or Bud Light. No sirree, we stick to the classy stuff, as indicated by our previous posts on boozy Egg Nog and Old-Fashioned cocktails. 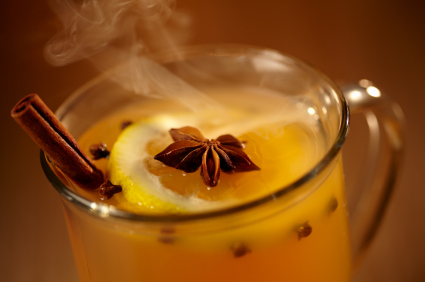 This holiday, we're on to another classic (and delicious) winter beverage - the Hot Toddy. As you can guess from the name, this is a hot beverage, which is perfect for these cold temps that are hitting us in NYC just in time for Thanksgiving. Alongside good old hot cider with whiskey, a Hot Toddy is probably one of my favorite steamy drinks. Half of the charm of a Hot Toddy lies in it's simplicity - at first glance, it's merely liquor and hot water. But, like many things menswear, it's the little touches that make the drink so comforting; the slight sweetness of the sugar cubes, the cinnamon that gives it such a comforting, spicy fragrance, the brightness lent by the lemons, even the traditional glass mugs that say cozy, but refined. I like to follow the directions given by the folks at Esquire, who suggest starting off by rubbing the sugar cubes against the rinds of two of the lemons, infusing the sugar with the citrusy zest and oils. Next, squeeze the other two lemons and combine the juice with the 1 quart of whiskey (NOTE: big bonus here, you can substitute your favorite whiskey varietal, be it bourbon, scotch, etc., or opt for Jamaican rum or brandy for a sweeter flavor and a cocktail custom-made for your tastes). Combine this mixture with two quarts of boiling water. Serve in glass mugs and garnish each with a cinnamon stick and a clove-studded lemon slice if you're feeling fancy. Serve piping hot! Obviously, this recipe is written for a large batch, perfect for a holiday get-together (don't try drinking this all on your lonesome). However, Esquire also kindly points out that you can make a single-serving: "Muddle a lemon-rubbed sugar cube in a double-shot of your favorite hooch, toss in a bit of broken-up cinnamon stick, and top off with boiling water to taste." So have at it - don't drink too much - or do! After all, you hopefully have a few days off to nurse that hangover. Happy Thanksgiving, folks! Didn't have much time to put together anything lengthy this week, but wanted to take a quick look at one of my (recurring) obsessions: suede footwear. To me, suede is a kinda funky deal, in that it feels ridiculously seasonal during two opposite seasons: late spring and late fall. As spring starts to turn to summer, there's something about, say, a pair of off-white suede bucs that's perfect for the rising heat. Come fall, with winter right around the corner, the warm nap of a pair of chocolate suede chukkas is just as perfectly appropriate. 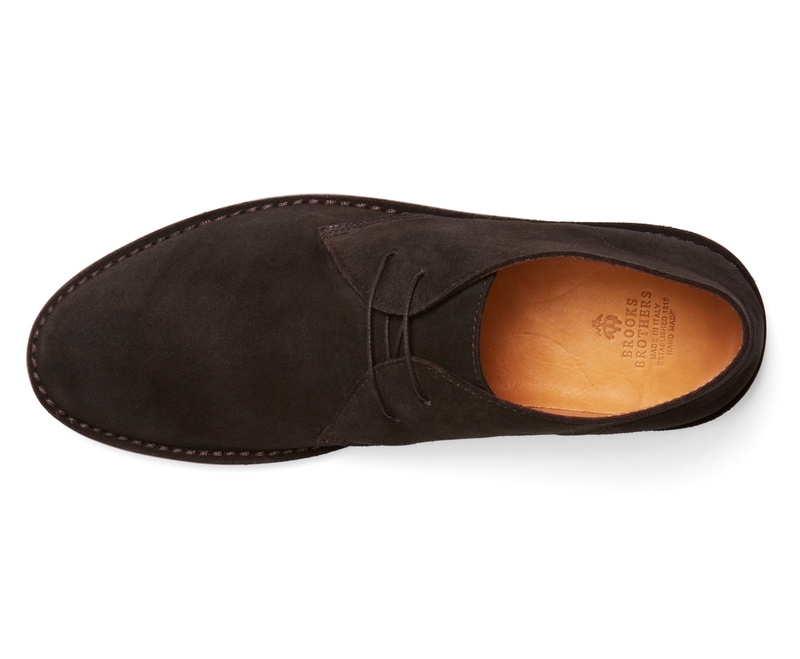 And somehow, tan suede loafers fit the bill pretty much year round. The most casual of the lot, I've been loving vintage-y running shoes. I have a few pairs without, but the pairs that do have suede are by far my favorite this season. I just picked up this pair of New Balance's the other week - not only is the style on point, at $80 it wasn't a bank-breaking buy. 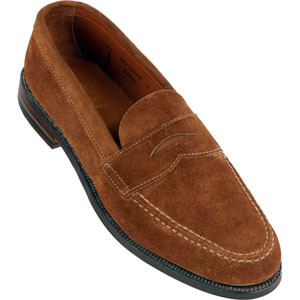 Stepping up the formality a bit, but still very do-able as a casual shoe, I love a nice tan suede penny loafer. I don't yet have my own, but I know exactly what I want in a pair, and it's essentially a loafer version of these boots I picked up from Polo Ralph Lauren last year. The above pair is by Alden, and would definitely fit the bill, but I'd love to find something with a similar shape and color that didn't cost an arm and a leg. Any suggestions? Just as versatile as a penny loafer, a chukka can be dressed up or dressed down as you will, especially with a sharper pick like this pair Brooks Brothers. While significantly more expensive than a similar pair of Clark's (almost $300 compared to $130), the sleeker profile makes these far more appropriate with dressy clothing and suits. At the same time, they remain just as easy to pull off with a sharp pair of denim. And that warm, hot-chocolate-brown is as good as it gets as the temps continue to dip. Of course, suede isn't only used in footwear. 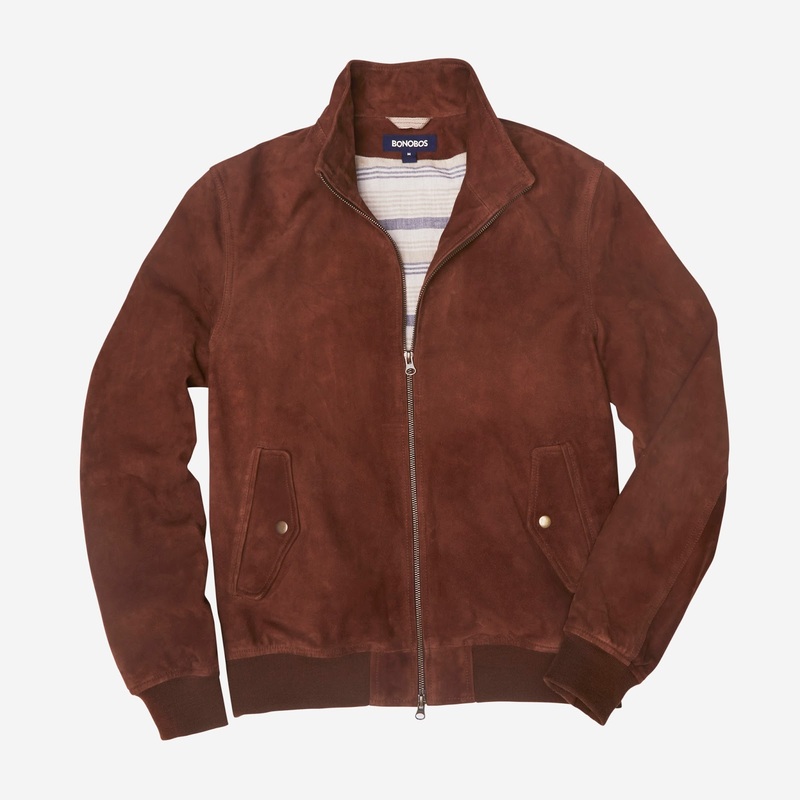 In my opinion, the best alternative application of suede has got to be a nice suede bomber. It takes a more sporty style and adds a level of elegance that is just...next level, I guess! 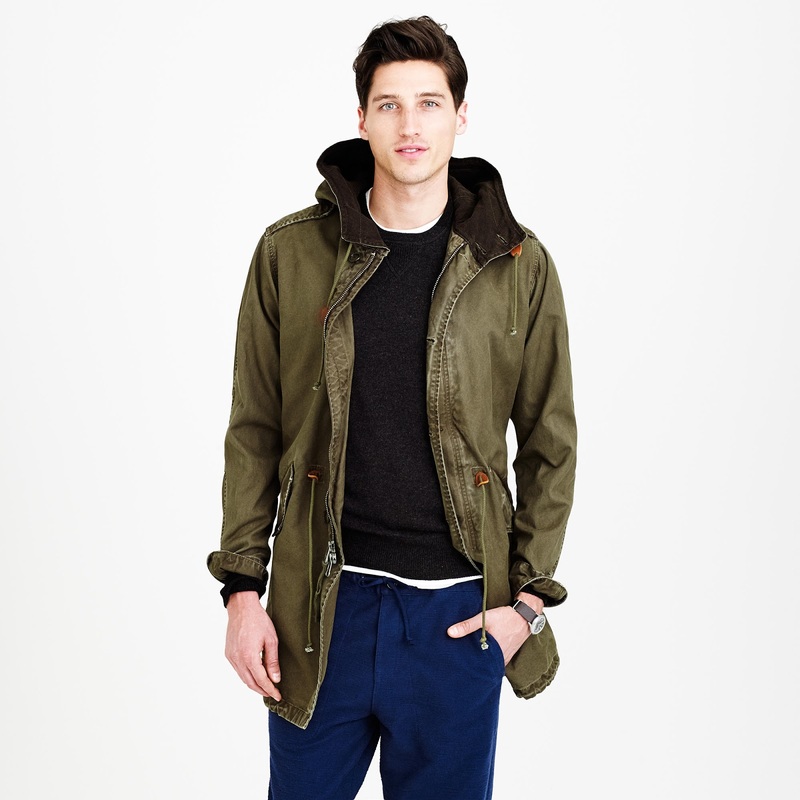 Of course, like any leather jacket, you won't find these puppies for cheap, but I'm a big fan of the jacket we offer at Bonobos - full disclosure, I do work there, but I'd recommend their iteration anyway! Keep your eye out for a promotion and you might be able to knock the price down to a bit more affordable point. I'll end with a quick cautionary note: as perfect as suede feels for the fall, you've gotta be careful as we start encountering inclement weather. Personally, I think some suede looks fantastic all beaten up and worn out, but if you're trying to keep your suede fresh, snow and slush can be your worst enemy. Weatherproofing and diligent shoe care can help out immensely, but some days you'll just want to leave em at home. Here we go with your regularly-scheduled Deals and Steals for this lovely fall weekend. "Every weekend, check in on the blog for a collection of the best (read: my favorite) deals and steals on the interweb for some quality shopping over the weekend. Have any to add? Share them in the comments or shoot me an e-mail. Also, if you're biting on any of these hooks, I'd love to hear about it!" First, the color is perfect for fall - an almost military green, but just a shade brighter to keep things from getting too dull. 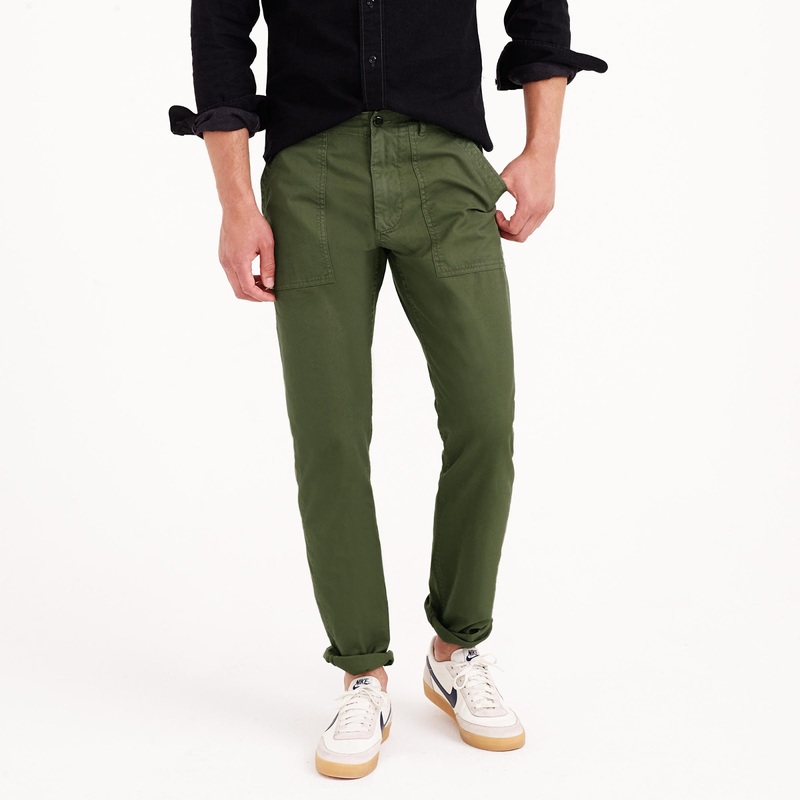 Second, I love the patch pockets...just another small detail that sets these apart from your everyday chinos. Last, the price is damn hard to beat, with these coming in at just $24 (normally $100). Jump on em, just don't buy the last pair in my size! It's not going to get you through winter, but will make a great mid-weight jacket for the next month or two. The fishtail style is pretty popular these days, and often hard to find at an affordable price, so it's nice to see it here for just $163.50 (regularly $218). I just reviewed the classic Alpha Industries M-65 earlier this week, with the main complaint that the cut was way too large. This version, while more expensive, is sure to be much more slim-fitting and true-to-size (as well as warmer, thanks to the wool lining). 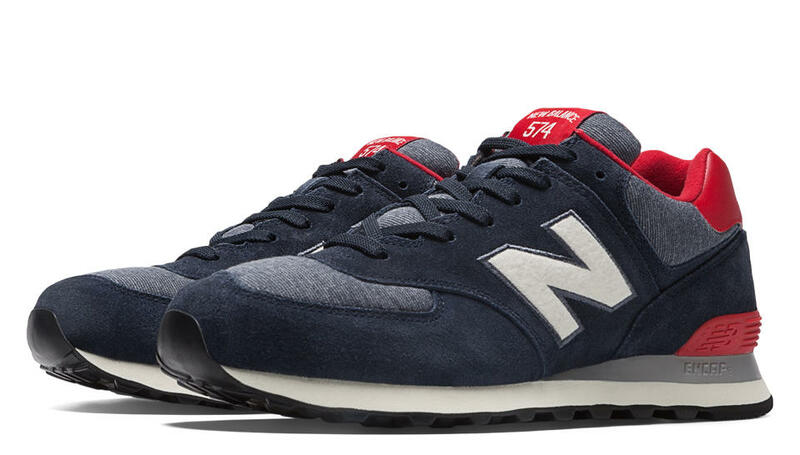 The navy color is a nice touch, and the price is knocked down to about $275 from $368. I've found that you normally have to choose between a slim but lightweight merino sweater, or a warm but boxy lambswool option. 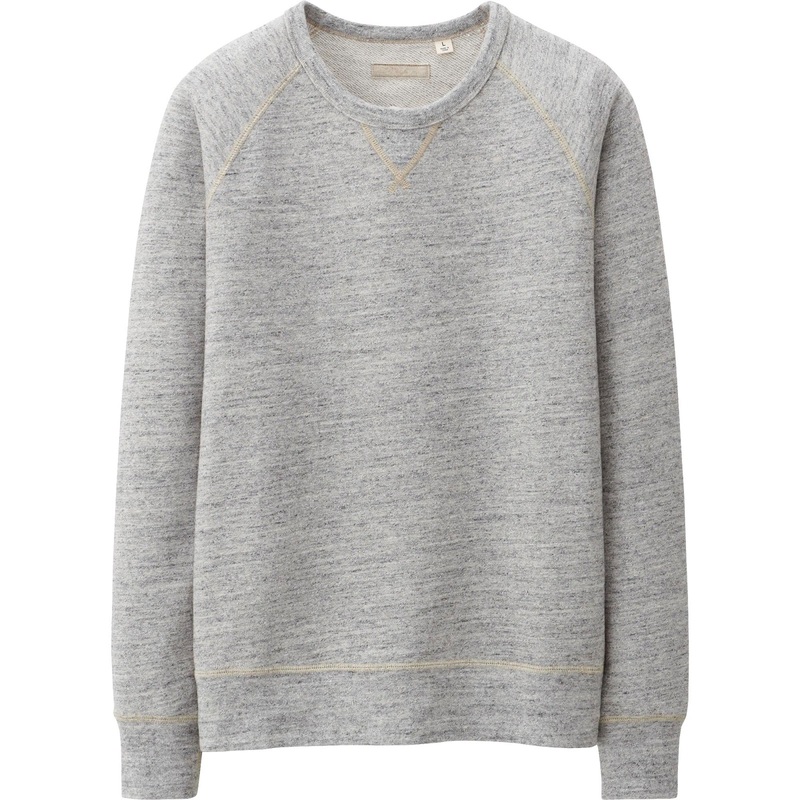 Here comes J.Crew to save the day with a combo of the two - slim-fitting, warm lambswool, all wrapped up in one package. Comes in a huge range of colors, at just $52.50 a piece (originally $70). Regularly $30, you can now grab them for a mere $20. Personally, I'm looking at the more saturated colors, like the navy shown above - I think it's a nice seasonal change from the more washed out light blues, greys, and whites. Granted, it's not on sale, and it looks like a pretty standard option, nothing exciting. That said, $40 is far from expensive, and it's got all the details I want: raglan sleeves, off-color accent stitching, and a reinforced V at the neck. 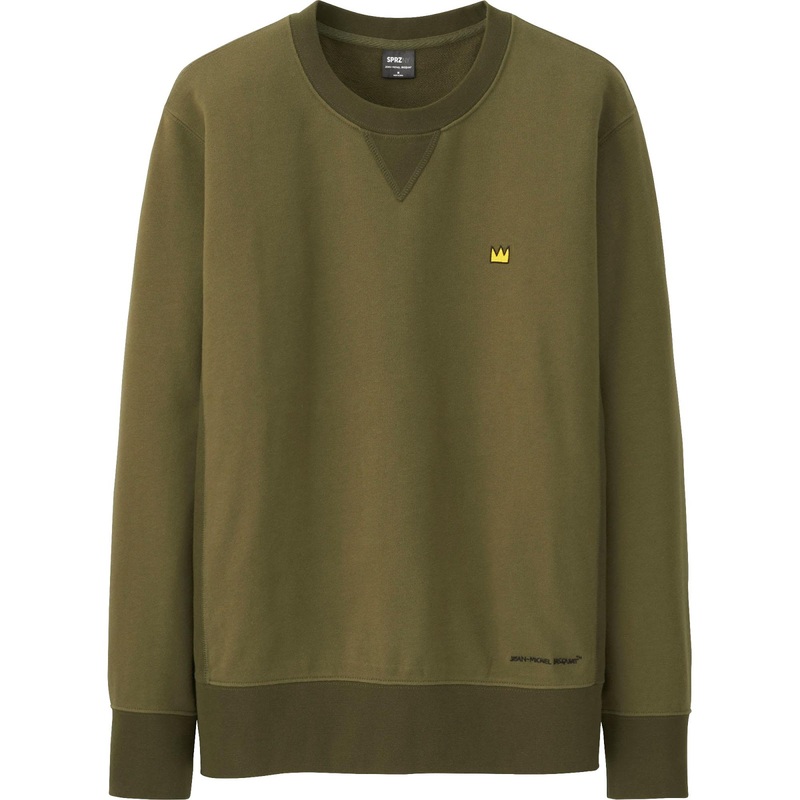 The Basquiat crown is a cool touch, but not too in-your-face or try-hard, and the military green is on-point for the season. Regularly $30, now insanely affordable at just $15. 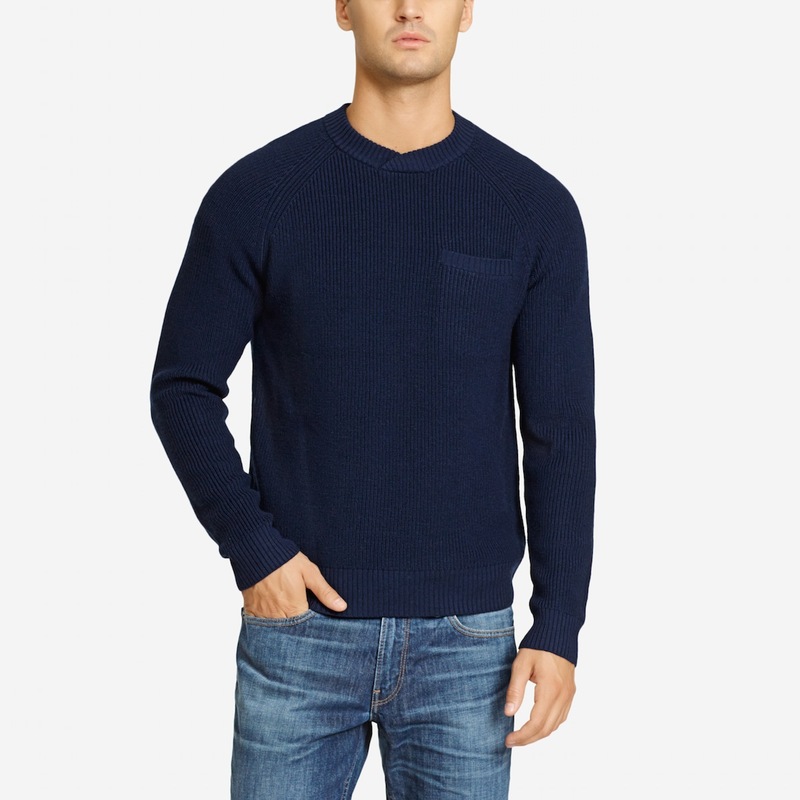 Super easy to match, incredibly soft and comfortable, and marked down to $78 from just under $100. 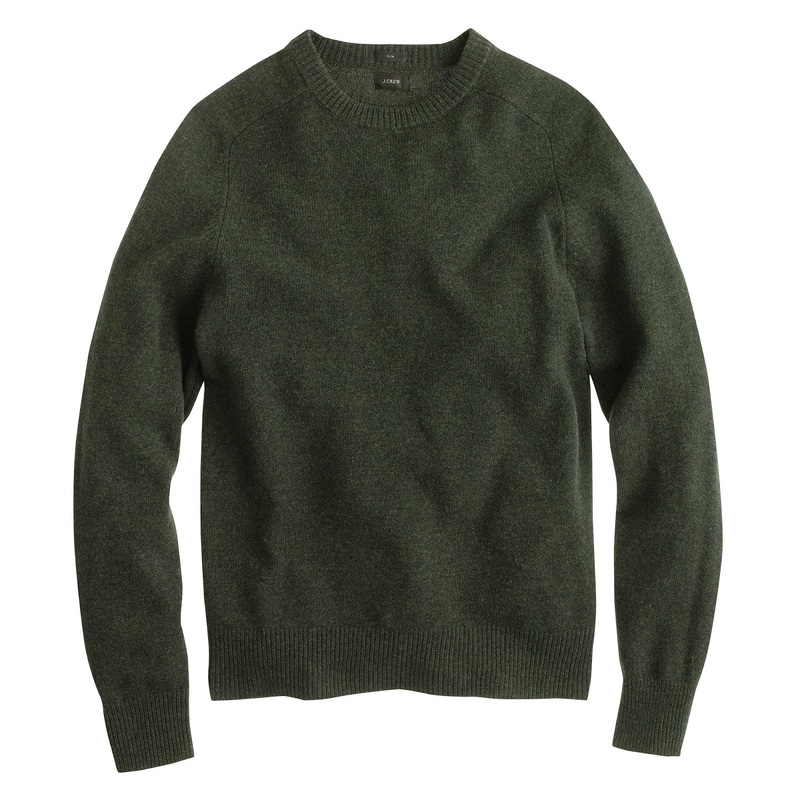 Where most merino sweaters are pretty lightweight, this pick is a bit chunkier. Plus, subtle details like the chest pocket and asymetrical collar will help your layering game stand out from the crown. Regularly $138, the discount puts these at just over $110 each. Lots of picks to keep you warm as it keeps getting colder! Any other good fall-weather finds out there? Share in the comments, and happy shopping!